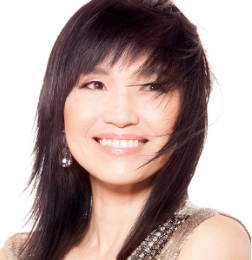 PALM DESERT — Contemporary jazz pianist and composer Keiko Matsui will perform on Saturday, Feb. 23, at 8 p.m. at the McCallum Theatre, 73000 Fred Waring Dr. in Palm Desert. Presented by Fitz’s Jazz Café at the McCallum; co-presented by CV 104.3’s Jim “Fitz” Fitzgerald. Matsui’s career spans three decades, over 20 CDs, and numerous continents receiving international acclaim. Her music transcends geographic, generational, and musical boundaries and her unique melting pot of musical influences have garnered her a devout international following. Visit her website at www.keikomatsui.com. For tickets, call (760) 340-2787 or (866) 889-2787, or visit https://www.mccallumtheatre.com/index.php/shows/2018-2019-season.